Play tent for children, wigwam from my-teepee, natural materials, Made in Germany, colours rose, pink. 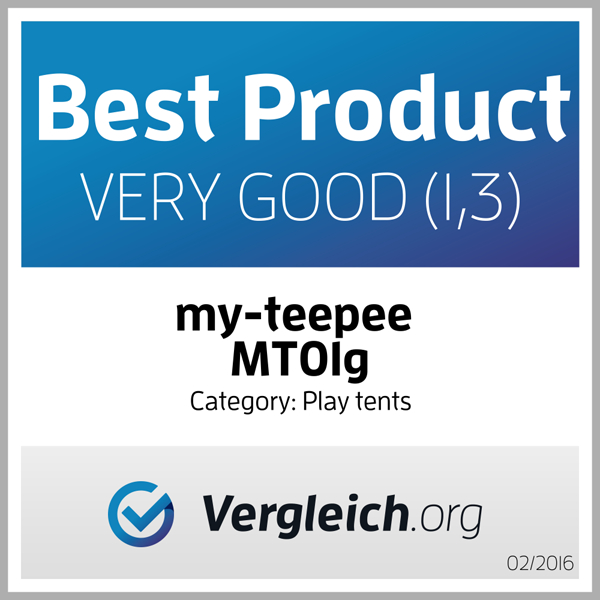 "Delighted with Teepee, it is beautiful and very good quality. So easy to put up and comes with a protective bag to store away. Can´t wait for Christmas morning for my daughter to see it. Such a well made item. Prompt delivery which was well packed. My daughters love playing in their "den" and I get lovely comments from the adults too! Excellent customer service! Product received in great time and very quick customer service when dealing with queries! Very happy customer! Beautiful quality I can´t wait to see my daughters face light up on Xmas day! Worth every penny! Wonderful teepee, my friend´s little girls absolutely loved it. The seller was beyond friendly and helpful. Really great experience with this shop. great quality , shipped in time.